Going Somewhere? and taking the kids! 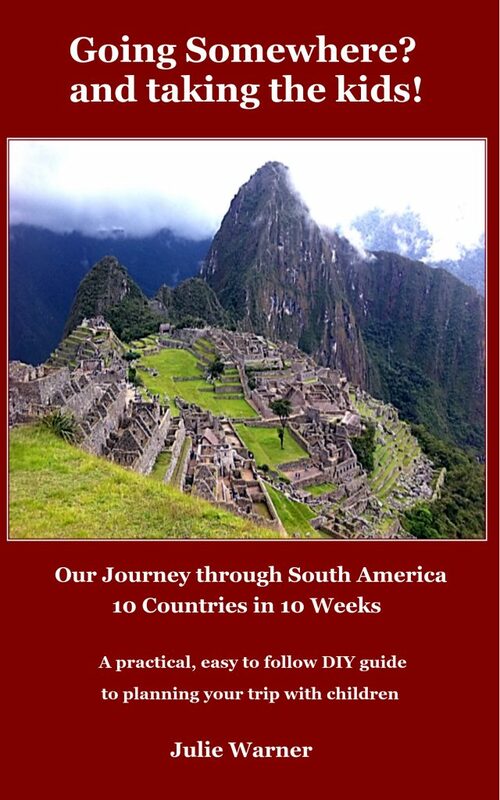 Our Journey through South America – 10 Countries in 10 Weeks! The second book in our D.I.Y travel planning series! A practical, easy to follow D.I.Y. guide to planning your trip with children. This book will show you step by step how to take the mystery out of D.I.Y. holidays on a budget around South America. This book is for people who love to travel and need direction on how to research it, plan it, book it and make a real success of a DIY holiday with their family! Written by Julie Warner, a travel planning expert who has personally travelled to over 110 countries with her husband and taken their 14 and 16-year-old children to over 50 countries. I know many of you are thinking – “10 weeks travelling around South America with two kids (10 and 8 years old) – what were they thinking?” To be honest, I did have my moments of doubt as the itinerary started taking shape about how we would all survive 10-weeks together, especially now the kids were that bit older and much more opinionated! I also realise that 10-weeks travelling through South America may not be achievable for everyone, nor may it be something that a family would, or could even contemplate – but if there is any way you can manage this at some stage, I would thoroughly recommend it as an extraordinary family experience. This 10-week journey could easily be split into segments, to do as separate holidays or scaled down by selecting highlights and structuring a shorter itinerary around places that appeal more to your family. The One World Visit South America Pass was fantastic for us at the time we travelled, as no payment was required until seven days prior to departure which meant that we could keep changing the itinerary (pending seating availability) right up until the week before we departed if required. This allowed us the time to book and finalise other aspects of our itinerary knowing that we could continue to change these air pass sectors if we needed to. The pass also allowed for just the first sector fare to be confirmed leaving the remainder sectors open and confirming their departures at a later date, very convenient if you were travelling with more flexibility (we had a tight schedule so needed to have everything booked in before we departed to fit with everything else we had booked). The first in our D.I.Y travel planning series! D.I.Y. 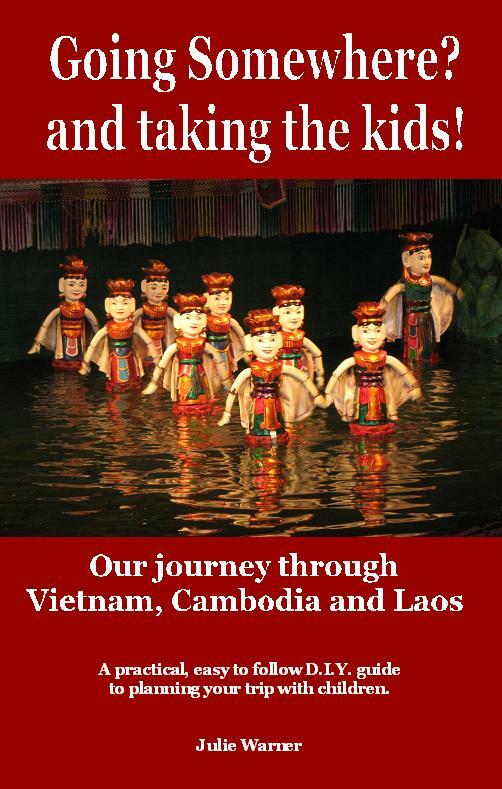 holidays on a budget through Vietnam, Cambodia and Laos. This book is for people who love to travel and need direction on how to research it, plan it, book it and make a real success of a D.I.Y. holiday with their family! The first in our D.I.Y travel planning series, Going Somewhere? and taking the kids! Written by Julie Warner, a travel planning expert who has personally travelled to over 100 countries with her husband and taken their 16 and 14-year-old children to 54 and 51 countries respectively. children. If you do make the effort, I am sure the benefits will far outweigh any minor stumbling blocks you may encounter along the way.